Regular readers of the blog might wonder why I doggedly insist on having this as a goal when it continues to remain elusive to me. It’s because my actual savings rate is not that far off it and also because if I set an easier goal (eg 40%), that’s what I will aim for. Saving 50% will make it more certain that I will reach FIRE as planned, or even perhaps a little earlier. Trying to save 50% is a real challenge for me because my salaried income is only modest (low in fact, compared to most aiming for FIRE) and I continue to live a vaguely normal life with all its inherent costs, without sacrificing anything important to me. Not bad going but not quite there, either! I can’t control what goes on with the stock market but to a certain extent, I can control my spending and my savings rate so let’s see how I get on with this again! In order to increase my dividend income, I shall need to continue to chuck my money into income-paying investments, with all dividends being re-invested. Most of the income currently comes from investments in my SIPPs, so there’s a mini-goal to get at least £1.5k income from my ISA investments. My intention is ultimately for this income to cover most (not all) of my monthly bills in retirement. Just a slight increase from last year’s goal. Still a tough target as it will depend largely on how I do on my each way betting and no-lay accumulators, both of which can suffer from huge variance and occasionally result in overall losses. There is also always the real risk of losing bookie accounts (through ‘gubbings’ – bookies don’t tend to like matched bettors) which means actual MB offers will dry up but we’ll see how I get on. MB is still very much a hobby I enjoy doing and I hope the profits continue to roll in. The £5k itself may not seem very ambitious considering the huge earning potential of MB but I’d be well chuffed if I got anywhere close to it. I failed last year’s goal so have reduced this one slightly. I need to read some books I actually own (including loads downloaded onto my Kindle over the years) so can’t just read books from the library. I still like to set this goal however, as borrowing means that I’m inclined to spend less on books and also means that I am supporting my local library services. I’m going to try to read a total of 30 books this year (I track my progress here via Goodreads), so at least 20 must be borrowed from the library. Again, the same as last year’s goal. Doesn’t sound like much but as mentioned previously, my passion is reading fiction so even these measly 3 books will be a challenge and out of my comfort zone. Of course, if I can borrow them from the library, I can work on two goals at the same time! I’ve decided that this year, these books won’t be finance or investment related or anything to do with self-help, so whatever else piques my interest and likely to be educational. So, I’ll be marking off squares as I read the books matching the criteria over the course of the year. Some books will enable me to mark off more than one square eg if I read a book with a red cover that is >10 years old, that’s two squares. I’m going to struggle those colour of book cover ones as some of my books will be ebooks. As per previous years, I pledge to donate at least 10% of my MB profits to charity, so if I hit my MB goal this year, that will be at least £500. The main charities I donate to regularly are Age UK, Macmillan Cancer Support and British Red Cross; I donate to other charities though not on a regular basis and I also fund ‘charity loans’ via Kiva. The last couple of years, I set a charity goal with Toilet Twinning to twin school block toilets. Whilst I want to continue to support this charity, I also want to help a more local charity this year. So what I intend to do is twin two toilets @ £60 each. My other charity efforts will be directed to a local(ish) library which was one of ten libraries I reported as being closed down last year by the council. I have fond memories of this library as I used it regularly for both books and internet services when I lived in the area and I was very sad to hear that it had been shut down. However, I found out a few months ago that it had been saved by the community and is now a registered charity! I was so happy when I heard this that I contacted them, told them that I will be donating regularly with cash and books and that at some point, I hope to donate my time – I have always wanted to work in a library! There are loads of other charities I want to help but there’s only so much money to go round. So the reason why I haven’t really made any attempt to vary my goals is because my life is going to be turned upside down later in the year. Don’t worry, it’s nothing sinister, but events will cause some disruption and will impact (both negatively and positively) my life as I know it right now. Sorry for the teaser but a full explanation will be given very soon in a follow-up post next week. No ‘Dry January’ or ‘Vegan January’ for me (I only drink at weekends anyway and eat meat a couple of days a week) but I plan on continuing with my exercising to maintain my current weight and physique, eating (fairly) well and drinking moderately. I’ve got some personal fitness goals but don’t want to bore you by tracking them on here. There’s also some other stuff that I think I want to do or aim for but they’re not measurable goals, they’re more like ‘good ideas’ or things I’d like to do, rather than things which I will really motivated to do. So, goals are pretty much the same as last year, but this year will be different. Did you set any goals for 2019? * Note that my savings rate is what I save from my net salary, my net salary being what drops into my bank account each month from my employer. This entry was posted in Books, charity, Dividend Investing, Earnings, matched betting, Savings, Well-being by weenie. Bookmark the permalink. Good to see you are sticking to the tried and tested formula that has worked in previous years weenie. On the non-fiction books I can certainly recommend ‘Eleanor Oliphant is Completely Fine’ by Honeyman> Iread it last year and REALLY enjoyed it. Good luck with the targets! ….that should of course have read fiction, doh! Thanks for the best wishes and for the book recommendation – it’s not a book I would read but I’ve added it to my to-read list for something different Also as it’s going to be made into a film, I prefer to read first, watch later!! Weenie – Thanks for keeping up the good work! One of my resolutions is to read your blog more; it is very good and has a lovely blend of insight, colour, data and comment. – your savings rate. Do you include investment income in your total income figure? If so, then presumably your savings rate naturally rises if your spending stays constant? – matched betting – I suspect this opportunity won’t last forever – I assume you have considered how your approach would change if the bookies closed down this opportunity? Thanks for stopping by and including me in your resolutions, haha! – my savings rate does not include investement income, it is just a calculation based on what I save from my net salary received from my employer. So the savings rate rises if I spend less, or if I get a pay rise or a bonus and my spending stays constant. You could argue that this then is not entirely accurate, but I just wanted a simple measure of my spending versus my salary and have measured this consistently. I document my investment income separately so it’s not ignored. One thing I don’t include are my work pension contributions from my gross salary, or the employer contributions, which some people also include in their savings rates. – matched betting, you’re right, the opportunities probably won’t last forever but bookies will continue to offer free bets in some form to entice the ‘average punter’ and as long as they do, I will try to take advantage. There are new bookies all the time, but I’m sticking to the ones I have until they no longer make any money for me. The each way betting strategy is effectively gambling but with an ‘edge’, ie the expected value, so I would continue to do this as long as I can stand the variance! All the best with 2019, FvL – I look forward to reading your posts and analysis in the light of market turmoil and Brexit! Apologies, i’ve not kept up to speed with all the books you’ve read, but in light of your new trekking hobby if you’ve not read it, “Into Thin Air” by Jon Krakauer might be one to consider. A fascinating account of the Everest disaster in 1996. Watch the film first. Unfortunately, although I like watching disaster, I’m not fond of reading them – find them too harrowing! So, I’ll check out the film, thanks! I like your charity goals. I’ve got my 2019 goals post scheduled to go out tomorrow (as I’m on holiday) but didn’t include anything charity related but think maybe I should have now. I tend to give in an ad hoc manner but I know charities prefer something more regular that they can plan around so maybe I’ll mentally add the goal of picking at least one charity to set up a direct debit to. I like the idea of something local/community based like your library. Yeah, these last couple of years, I’ve started to give regularly, although I do still do the ad hoc donations. The tough thing is choosing which charities to donate to. I set up a CAF charity account so I can donate anonymously as I hate being contacted by charities. I know it’s how they get their donations but I don’t like being guilt-tripped into parting with money. If you’re stuck on what local charities to support, stop by at your local large Tesco – they should have some display near the front where they ask people to vote (with tokens) which charity they want Tesco to support – that might give you an idea and is how I saw that my library was still about. Well done weenie your charitable goals make me feel very guilty, i do obviously give to charity but on an ad hoc basis. Doing something consistent like this does appeal. 2) save 20k to get rid of silly lease car in December and buy a decent second hand car freeing up cash flow (currently 11k in cash (. All the very best for your goals – I know you piled a lump sum into equities recently, do you plan on continuing to do this? I do recall you mentioned that you might look into BTL? Good luck with the decorating – I painted 3 doors in our house before I got bored and decided to pay someone to do it haha! With regards to work, it is good to have healthy paranoia these days! I thought I was in a job for life but I wasn’t. Nowadays, every time there’s an -unscheduled all-employees meeting, I expect the worst so I won’t be shocked with any announcements! Great goals! I like the idea of keeping things simple but I’ve gone completely the other way with 19 goals in the theme of Gretchen Reuben’s “19 for 2019” and it’s the first time I’ve done this so we’ll see how it goes. To be fair, some items are quick to do’s and some are ideas for later in the year but I like how it gives me some structure. Wow – good luck with your 19 goals! I think I set around a dozen one year and I just got too stretched and distracted.! Keeping it simple seems to work best for me. I wish you a happy, healthy and successful 2019, weenie – and good luck with your goals. 2018 was an eventful year inc new hobbies and a new job while calling FI. I tackled my reading challenge by joining a book group and am determined to make more use of my library this year too. Happy New Year Chris and congrats to you for calling FI in 2018 – that’s fantastic! Assuming you’re still working but has anything changed/do you feel differentw? I guess the Goodreads website is my ‘book group’ in a way – through it, I have discovered lots more books and authors and the yearly challenges encourages me to keep reading. I hope it’s something good at least though!? You are smashing it on the savings front in all reality. I think if I used your method of calculating savings rate mine would be about -5% but we are chugging along at 40+% for the year! Haha! Haha, I think it is something mostly good, I’m probably just being a bit melodramatic! It was easy for me to get my posts out on time this year as I wasn’t suffering from alcohol-abuse from NY celebrations, plus I was a little extra organised as I had drafts ready to tweak and post. Ooh, I’ll have a look at M John Harrison’s trilogy, always on the look out for new sci-fi authors to try. I’m two books into Ann Leckie’s Imperial Radch trilogy which you might want to check out. Perhaps more space opera than sci-fi but the first book blew my mind! Nice list of goals Weenie – feel free to share your fitness goals, I’ve taken the position that accountability to a bunch of strangers on the internet is somehow going to keep me on the straight and narrow! I also think that it’s not a bad thing to have the same goals from year to year. We’ve discussed contentment before and I think that there is a lot to be said for finding those things that make you happy in life and ensuring that you make time for them every year. Let me echo what TFS said as well, I hope that your teaser is most about good things. I’m not sure my specific fitness goal is going to be very exciting – I may have mentioned that I’ve started to incorporate some exercise to help my on-off shoulder injury and basically, I’ve been doing Dead Hangs, ie just hanging from an overhead bar with straight arms taking my full body weight. The initial release of tension in shoulders and spine is fantastic, until your arms suddenly (and quickly) realise the huge strain they’re under, haha! I think when I started, I only managed like 10 seconds but have progressed to a minute now. My goal is 2 mins but I’m be moving up by seconds if I improve, which isn’t very exciting to track! Yes, contentment is important to me and is where I’m at and want to stay – the teaser is a good thing but will cause some disruption which I will need to overcome or adjust to. These look like great goals- achievable but still challenging. I look forward to following your progress! Thanks Mindy and yes, all are still challenging. I doubt very much that I will be able to hit all of them but I’ll be giving them a good try! Hurray your goals post is out! I think it’s possibly my favourite post of the year from you. I think it’s a great idea to keep things simple and keep some certainty with your goal setting formula that works for you. Looking forward to seeing how you get on with your goals. I’m planning a goals sharing post within the next couple of weeks. Corinna | Inspiring Life Design recently posted…Challenge 2018: Mission Accomplished! Well, the matched betting has made a really rocky start so far so that £5k goal is looking rather optimistic and ambitious but it’s early days! My Kindle is has no colour, and at 8 years old, no ‘swipe’ facility, just old school ‘back’ buttons! Although good idea about checking the colour of the cover on Amazon! Thanks for your support and look forward to seeing what your goals will be. Love your blog and read it regularly. Just a quick question, how much time do you spend on Matched Betting in a given day and week? Always enjoy reading your goals listing. It’s good to have a target and focus do the year. I do like the look of the book bingo card, that helps to make it more fun. As others have said you could look up the actual cover on google and use that to determine the book colour. I have signed up to bookbub they send me an email of books which normally includes a free one and I use that to randomise my reading and download the free one to read as a random element. As they are free, I don’t expect them to be great classics but it makes me read some fiction. 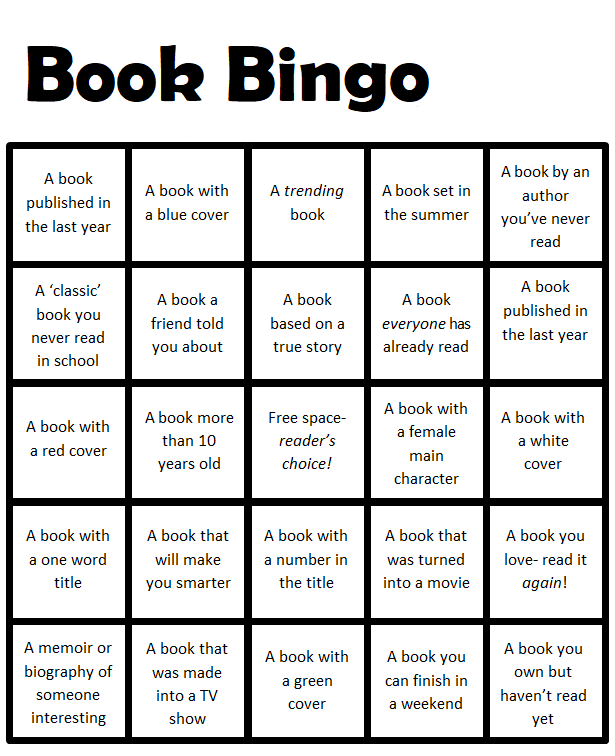 I may use this bingo list to pick books to read this year, thanks for the idea. Enjoy the MB while it lasts. It’s not my thing so will continue to just invest in SIPP and isa accounts on a monthly basis and keep my spending low and my savings rate high. We cannot time or control Mr Market and will just keep accumulating. 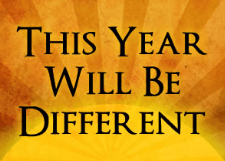 The change you have hinted on this year sounds tantalising, so await the unveiling. Yes, the bingo card does try to shake up my reading a bit although I do find that I tried to ‘fit’ in my usual genre to match the squares haha! Hope you enjoy trying to fill the card! The MB won’t last forever so I will just carry on as long as I can and like you, continue to invest in SIPP and ISA and keep my spending low. I agree that your goals should be somewhat challenging, at least! No point setting a goal of a 40% savings rate if you’ve comfortably hit that number for the past 4+ years. Looking forward to seeing what you read over the coming year. I’m always on the lookout for new books, although it seems that I already have more books than I have time to read them! I hope the change that you’ve alluded to isn’t too negative/disruptive (and at the very least, doesn’t impact your blogging :p ). Looking forward to reading more of your blog over the coming year! Exactly – it’s a little disheartening to not hit that savings rate but pointless to set an easy one just to say you’ve achieved it! Maybe we need to set up a sci-fi/fantasy thing in Slack, books read/recommedations etc! Anyway, the change isn’t negative as you will see….just change!